Appreciation is the act of giving something or someone their proper value, and everybody has value. Value in a relationship is important because it lets a person know where they stand, and what they mean to you; appreciation is a way of letting that person know these things. When someone is dedicated to a relationship, and they don’t know how valuable they are to that partnership it changes how they function, and how they operate in that union. When a person believes that you don’t value them they tend to devalue the relationship they’re in. Relationships tend to develop problems when one of the partners doesn’t feel appreciated. The longer that person feels unappreciated the more likely it is that they may come to resent being taken for granted, so by purposely showing your partner that you appreciate what they do, you’re eliminating a lot of problems that can happen when you don’t. Here are some good reasons why you should show them how you feel. Most people enjoy doing things for other people, and many derive happiness from being generous and giving.It’s when they never get a thank you, or other acknowledgement, that they become disgruntled about doing so. Most people don’t need payment for the acts of kindness, and love that they do for you, so simply telling them how much you appreciate their efforts will make them happy. They can never hear this too much. Reason 2: It makes it easier for them to show you that they appreciate you too. When you show appreciation for someone, it makes it easier for them to show appreciation to you in return. One of the main reasons people withhold recognition is that they don’t feel recognized in the first place. If you start showing your significant other appreciation, they’ll be more likely to reciprocate. Reason 3: It lets them know that you’re sincerely grateful for what they do for you. When a person receives your acknowledgement for what they’ve done it really motivates them to keep doing it, and nothing provides consistency like recognition. Basically, that good deed didn’t go unpunished. The happiness they feel from the good deed encourages them to continue their actions—nothing is more motivating than to know that someone recognizes your efforts. Reason 4: It makes them feel loved. Reason 5: It makes them feel respected. Respect is a big factor in relationships, and without respect, most relationships are doomed to fail. Respect is one of the foundations of a strong partnership, and when you make sure that a person knows that you truly appreciate them, you make them feel respected. The more respect they feel that you have for them, the stronger the relationship will become. Being appreciated in a relationship makes a person feel special, honored, and treasured. When you let someone know how much you appreciate them, you’re telling that person how much they mean to you, and the more special you make that person feel, the stronger your relationship will become..
Everybody needs reassurances and recognition for the efforts that they make, and the longer it takes you to get around to doing that, the more you open the relationship to problems. Letting a person know that you recognize the things that they do for you is a way of showing that person how much you love them, and making sure that your partner knows that you love them is the best way to create security in a partnership. It’s also a great way to make the relationship last longer. Appreciation is as important to relationships as respect or trust. A lot of issues that people have in partnerships develop because they don’t feel appreciated—it takes a lot of effort to make a relationship work. When you’re putting hard work into something, it’s always wonderful to get a pat on the back for your efforts. The more grateful you are for what that person contributes to your life, and your relationship, the happier the two of you can be together. Make appreciating your partner a priority. Z.R. Moore is a professional life and relationship coach. 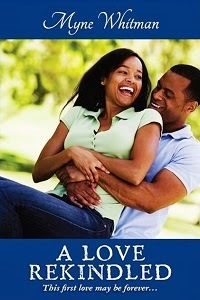 For more information on this topic, and others please check out her eBook on Amazon.